Not much of a post today. I wasn’t inspired to take many photos en route. I walked mostly on road with a few brief sorties onto track. A fairly short stage although it felt long enough. 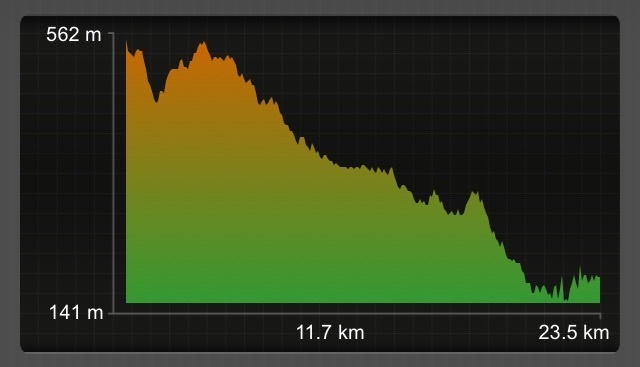 A good 8 km were spent walking through the suburbs of this large city (population 110.000). 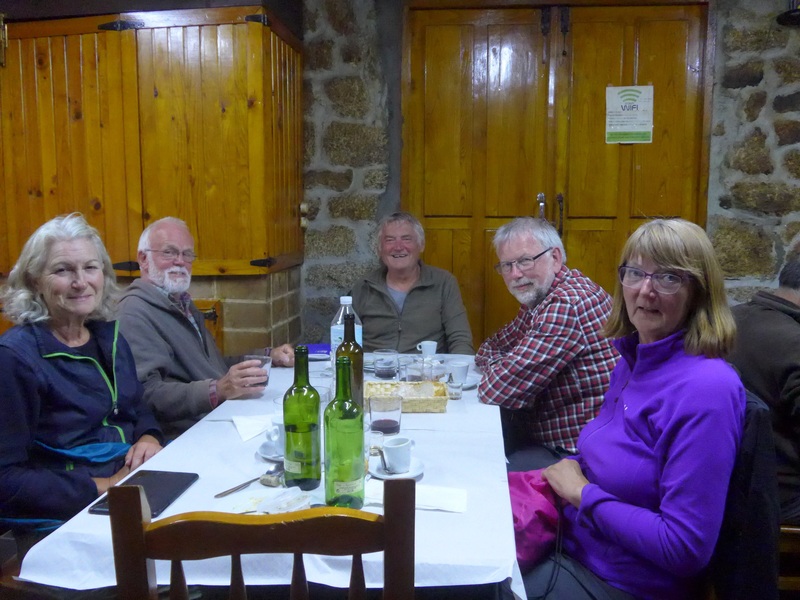 My gang (all fast walkers) coalesced during the last couple of km’s and arrived first at the albergue. Hurray we thought, we can definitely grab some downstairs bunks. But our pride was short lived – we arrived at 11:45 and the albergue didn’t open until 13:00. So we staked our claim to first entry by placing our backpacks very definitely in an orderly line outside the albergue door. It is in an ancient building which was part of s convent and the beautiful cloister is in excellent condition to be seen next door. I took the opportunity to search out s pc shop and finally purchased a new power bank (external charger), which cost a fraction of the price I paid a couple of years ago. And then, after waiting around for the hospitalero to turn up and attending to ablutions and laundry duties, the four of us (Paul, Aase, Wilfied and me, decided to visit the thermal spa in the city. Sadly, we decided to take a taxi but it wasn’t until we were moving along the road that I realised the error of my ways. I didn’t want to use any form of transport other than my own feet until after I reach Finisterre. But the deed has been done (twice because we returned by taxi also) and I am very glad we took a few hours off pilgrim duties to flop about in (really hot and slightly smelly) pools that were supposed to be hot, hotter and scalding, but in fact the hot one was weighing in at 40 degrees centigrade and the other two pools felt much the same. 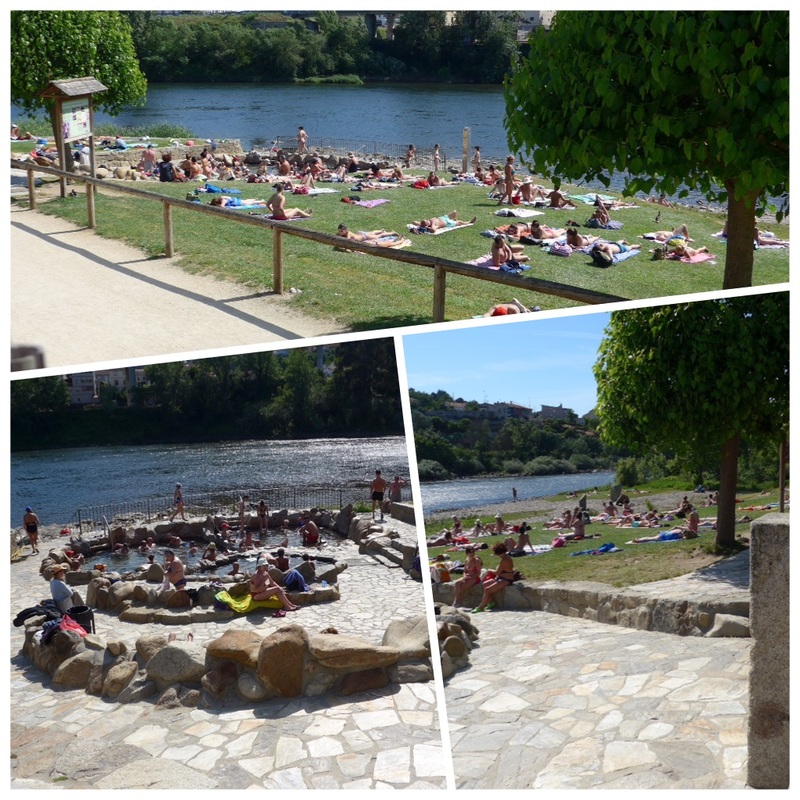 We hadn’t realised before paying 4 euros entry fee that there was a free equivalent on the river bank right alongside where we were. I couldn’t take any photos in the private baths but here are a few of the public area. Both were equally lovely and enjoyed by all. After doing nothing but moving from one pool to another for a couple of hours I felt absolutely exhausted and not a little wrinkly, but I expect to feel the benefit in the morning when I set off on tomorrow’s stage at full pelt. We enjoyed a great dinner last evening and here is the proof – Wilfried at the end and Swiss Peter on the right. Peter is apparently going posh this evening and staying in a hostel. We shall probably lose sight of Aase and Wilfried tomorrow because they are aiming go reach Santiago in four days, whereas Paul and I are planning to arrive in five days. This is mainly so that I will coincide with Super George when he returns from Finisterre on the 26th. Hooray…Maggie’s back in town…missed you yesterday! So you’ve reached the 1,200km mark and still have five days to go, and then the final 100km to the coast….that’s awesome! Hope you enjoy the rest of your short day. You had me worried yesterday, so glad all is good. Missed you last night …. I save your blog to read last thing before I turn out my light. Couldn’t wait though today but hope there will be more later!! Buen viaje/camino. Thanks Bridget, I think I have only missed an evening post twice in 40+ days. But I have had to endure some fairly uncomfortable surroundings (amongst the many superb facilities) to do it. Thanks for your interest and support. Long hair! But not looking at all wrinkly despite the hours of flopping in hot spas. 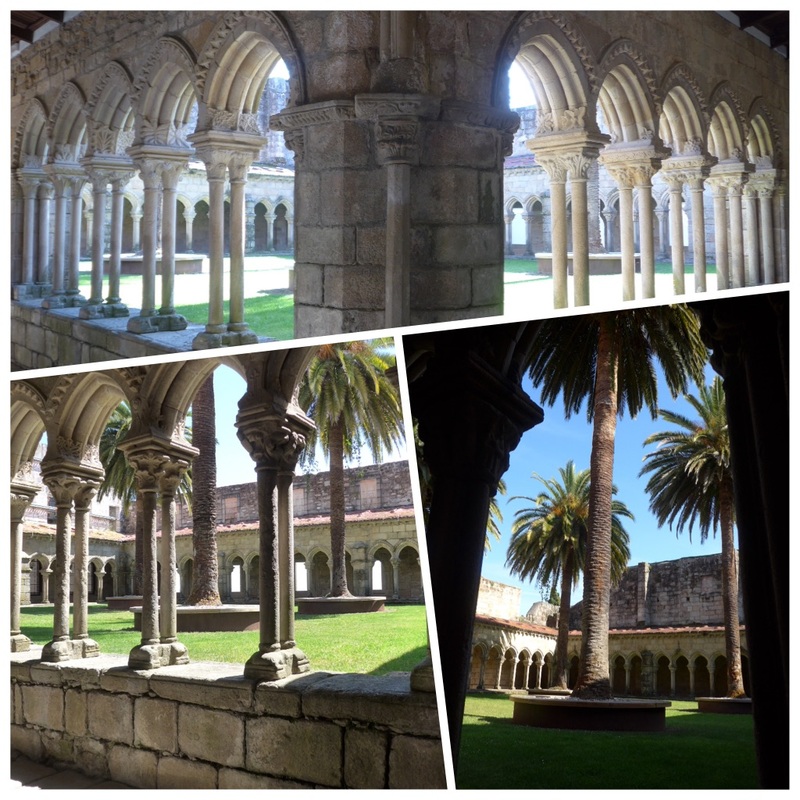 Beautiful cloisters two days back. Very serene.